JMD Ross Professional Risks Pty Ltd, previously Griffiths & Armour Professional Risks Pty Ltd, has operated in Australia since 2005.  Originally a joint venture with UK-based Griffiths & Armour Professional Risks Ltd, the company is now wholly owned by JMD Ross Insurance Brokers Pty Ltd. It operates as strategic partner in Australia to Griffiths & Armour (UK) to enable JMD Ross Professional Risks to offer a full global service to clients.